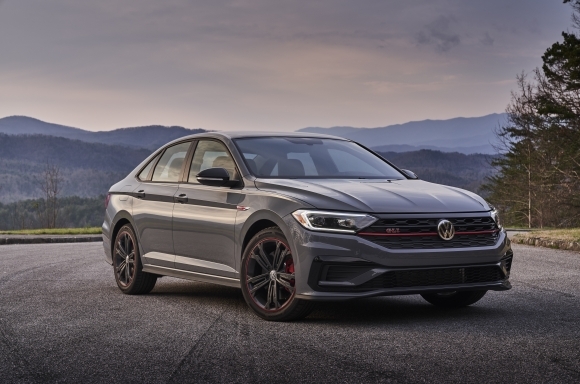 Herndon, VA (April 4, 2019) – Volkswagen of America, Inc. announced today that the 2019 Jetta has earned a 5-star overall safety rating from the National Highway Traffic Safety Administration (NHTSA), which runs the government's New Car Assessment Program (NCAP), and has provided consumers with vehicle safety information since 1978. The 2019 Jetta joins the Atlas, Golf family (except e-Golf), and Passat as 2019 Volkswagen models that have an overall 5-Star Rating. The remaining 2019 models in the lineup have not been rated by NHTSA. NHTSA’s NCAP provides front, side, and rollover crash test ratings, all aimed at helping consumers in making their vehicle purchasing decisions. The rating results are relayed to consumers using an easily recognizable star rating system from one to five, with five being the best a vehicle can achieve. For details, visit https://www.nhtsa.gov/ratings. "Volkswagen is delighted that the Jetta, our best-selling model, has earned the highest 5-star overall safety rating from the government—providing further validation that Volkswagen vehicles are among the safest vehicles in the industry," said Derrick Hatami, Executive Vice President of Sales, Marketing and After Sales for Volkswagen of America, Inc.
Like the rest of the Volkswagen lineup, Jetta provides an assortment of both passive and active safety systems. It features six airbags (driver, passenger, driver and passenger side, and full-length curtain) as standard along with a number of electronic safety systems. Jetta offers the Automatic Post-Collision Braking System standard on all trims. This system builds on the premise that a collision is rarely a single, instantaneous action, but rather a series of events that follow the initial impact—the most significant of which can cause additional collisions. The Automatic Post-Collision Braking System is designed to address this by applying the brakes when a primary collision is detected by the airbag sensors, thus helping reduce residual kinetic energy and, in turn, the chance of additional damage. Available driver-assistance features on the Jetta include: Forward Collision Warning and Autonomous Emergency Braking (Front Assist), Blind Spot Monitor, Rear Traffic Alert, Adaptive Cruise Control (ACC), active Lane Keeping System (Lane Assist), and High Beam Control (Light Assist). “VW”, “Volkswagen”, all model names and the Volkswagen logo are registered trademarks of Volkswagen AG. All other trademarks are the property of their respective owners. Government star ratings are part of the National Highway Traffic Safety Administration’s (NHSTA’s) New Car Assessment Program (www.safercar.gov).